The last WWII book I read was “The Nightingale”, which was about the French, the women’s war there, and had me very literally sobbing into my hands after certain passages. It was a heavy and emotionally wrecking story and continues to stay with me. 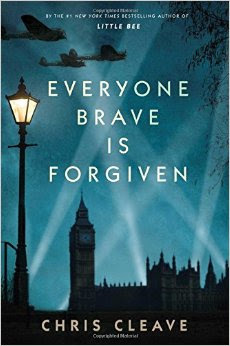 Everyone Brave is Forgiven was a completely different experience for me. This story in no way made light of the war, yet it was filled with humor, love and a certain levity. We follow young, rich, and beautiful Mary North of London, on her personal journey through the war. This mostly a love story, but the character arcs are brutally honest. A little over half way through this book I started to feel like this was a story about how a spoiled rich girl, who didn’t think much of anyone but herself and her own opinions, got through the “inconvenience” of war. But by the time I closed this book I realized it was so much more. The way this storyline went felt so real, authentic, and honest. 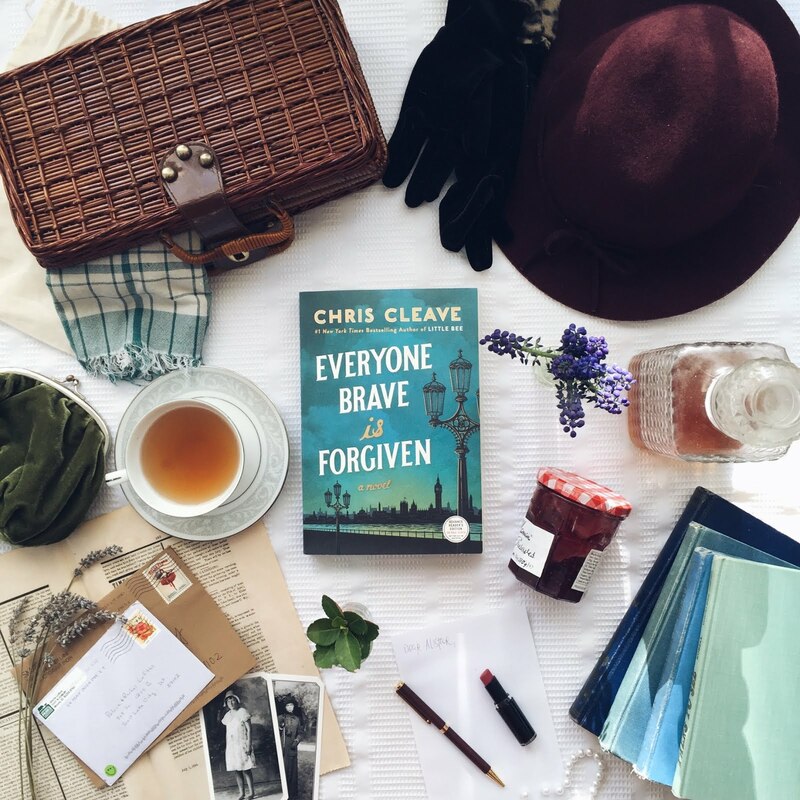 At the front of the book, author Chris Cleave writes a note to the reader about what inspired this story. I tried to read it first and quit after the first page because I just wanted to get on with the story. But when I finished, I immediately turned to those first pages and the significance was huge. This story is inspired by Cleave’s own grandparents. Though it is not a direct life story or biography of any kind, many of the events and situations in the book actually happened to his grandfather or one of his two grandmothers. For me, reading it AFTER the story made it much more amazing. Cleave is a genius writer.There were a few rambling parts and my natural instinct is to skim through them. But I really forced myself to slow down and read through those parts and they were amazing. Cleave’s description of sounds or feelings were the most accurate that I have read in a long time. They were so exactly spot on. I felt like this embraced all the horror of war and its effects on people (mental and physical) but still had space for lots of humor, and lots of focus on the characters. I loved this from the very beginning. I had my doubts a little half way through on where it was going, and then closed this book with all the feels. I highly recommend this!